This is the best way for us to come back, a great 7″ with 2 great covers on it. 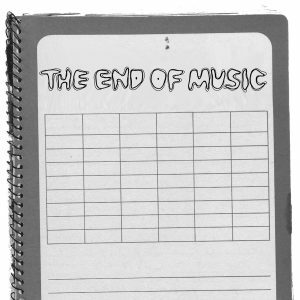 I am guessing most people have not heard of The End Of Music. They cover non album Nirvana songs. These little known songs knock it out of the park. On this 7″ you get Turnaround backed with Oh, Me. These are some of the best cover songs of Nirvana I have heard in quite a while. If you want a copy of this lathe cut 7″ you best hurry as there were only 27 copies made. I do not think you will be disappointing. I wasn’t.